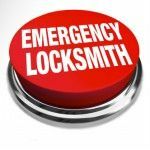 Locksmiths Wow in Encinitas CA is the experienced company in the area since 2005. We have a lot of experience in 24 hour emergency situations. Call Now: (760) 456-7156 . 519 Encinitas Blvd, Encinitas, CA 92024 , USA . 26675 Pierce Cir, Murrieta, CA 92562, USA .